Tenants, vendors, owners, your leasing team and that inspiring “quote of the day” filling up your inbox? Do you frequently hear, “I emailed that to you already” when talking to vendors or coworkers? Are there 3 or more digits in your unread emails icon? 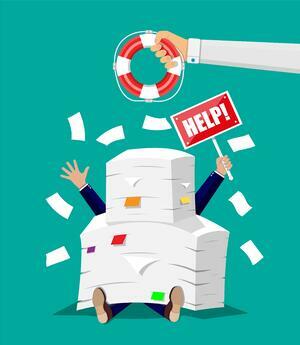 If you are a property manager drowning in emails, we’re here to help. Property management involves many stakeholders, all of whom want answers with quick turnaround. You are managing someone’s investments, but you’re also managing someone’s home, and as you already know, “I must have missed your email” doesn’t cut it when you miss a work order or form. To avoid upset tenants and angry owners, use these unique tips to help you stop drowning in emails. Use your property management software’s broadcast feature for outbound announcements and mass email communication. Multitasking your software is helpful for many reasons. First, these emails usually come from a “do not reply” system, so the simple short “received” “thank you,” and out of office emails will bounce and stop clogging your inbox with unnecessary emails. If you have twenty properties with four owners, and you have to send a reminder to tenants & owners about a topic twice per month, you could be eliminating a minimum of forty-eight nonsense replies from your inbox, clearing the way for priority communications. Plus, there is no chance for endless “reply all” conversations to get started. Additionally, you should already be keeping your tenants' contact information updated in your property management software, meaning you won’t waste time doubling your efforts to keep email contact groups updated. Do you seem to send ten or more different versions of the same email each day? One of the best property management business solutions is to create email response templates for those commonly used responses. This email reducing trick does not require you to be ultra tech savvy to do either. You can create a Google Docs or Microsoft Word sheet with copied and pasted drafts of your most commonly used replies (that you can find in your sent email box). Windows also has the notepad and sticky notes programs in the accessories section of the start menu. Better yet, save drafts of commonly sent emails in a folder in your inbox and forward as necessary. None of these ideas require special software. Want to take it up a level and save yourself significant time? Invest in a Customer Relationship Management platform with sales enablement and workflow automation. You can automate entire processes and the emails that accompany them. A one-time setup is all you need to automate marketing communications, leasing expiration notifications; the list goes on. No matter how you do it, you will take a task that previously took minutes and reduces it to seconds, allowing you to move to that next task quickly. Customer self-service is becoming an unavoidable trend. Whole companies have been built to meet the need for self-service options. According to ZenDesk customers prefer self-service, and 91% of surveyed participants would use a knowledge base if it were able to meet their needs. Building a self-help, knowledge base, or FAQ section on your website is a one time process that will continue to serve your customers when they have questions 24/7/365. Giving your tenants a chance to help themselves immediately will increase tenant satisfaction, and reduce the emails for simple questions significantly. Plus, you can turn self-help into a tool that will increase your SEO and marketing efforts. Adding an FAQ page to your website increases the content you have, and it is useful content that both owners and tenants will spend time using. Having a page that performs well, with all sorts of keywords, that ALSO helps your tenants is a win-win situation. Start using a ticketing system to assign and keep track of tasks and projects instead of managing them through email. There is no shortage of free project management programs and websites out there that will allow you to post, comment, and track your tasks and projects from one place. Instead of thirty one-off emails trying to keep everyone on the same page, you log on, and there is the complete history of the project for you to review. Using project management software helps to speed up the project as well, because your entire team can work from the same master document, meaning no one is waiting for an email from a team member who is out of the office, etcetera. Implementing the right technology in your property management operations will save you time and money. If you don’t want to add another program to the mix, you can also add projects to your work order system for tracking there among the management team. Create a “Property Management Office” tenant, and assign tasks through that portal to move projects from your email to your tenant work order system. Proactively communicate and resolve issues quickly. While this is common sense, but we often forget how important it is with so much going on. The sooner you address a task, the sooner the emails and phone calls about it stop. 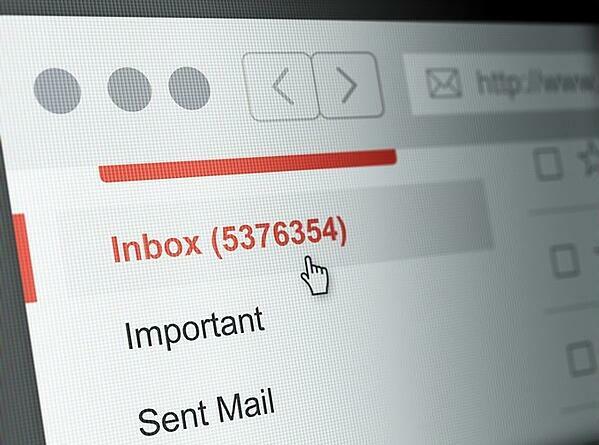 Try to use a one-touch rule with emails as often as possible. Give each email your full attention and resolve the issue before moving on to your next task. Of course, not everything can be solved in this way, but the fewer times you have to go back to the same email, the more time saved. There are so many more email tips and tricks out there to solve the crush of emails and return a sense of order to your inbox. 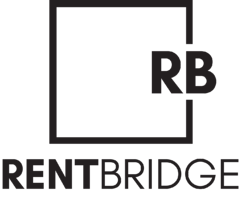 Use what works for you, and if you need help, Rent Bridge can work with you to automate your workflows to save time and keep your inbox manageable as part of our Game Plan.